Bakkhali has been a very popular place of attraction for a long time. Moreover, with the development of barge over the Hatania-Doania River, Bakkhali became all the more accessible. Bakkhali today is completely different from what it used to be some 10 years back. All this has become a reality with the development of transport and communication system. Places to see at Bakkhali: Bakkhali offers quite a lot of attractions like the windmills of Frasergunj as well as the crocodile propagation centre at the place. The narrow path that enters into the casuarinas forest lying adjacent the beach will lead you to the temple of Banabibi, a local deity. 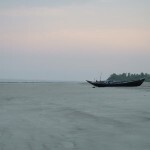 Nearby attractions from Bakkhali: Bakkhali offers so many places of attractions that are located nearby like the Henry’s Island which was created by the State Fisheries Department. Frasergunj, the twin town of Bakkhali can be visited on a day trip. Things to do in Bakkhali: Sightseeing is the best thing that you can do in Bakkhali. Take a walk over the beach from Bakkhali to Frasergunj and enjoy solitude. Plus, you can also take a look at the daily life on the villages and experience the different rhythm of life these villages live in. How to reach Bakkhali: You can board a bus from Kolkata (Esplanade) till Namkhana and then a ferry ride across the Hatania-Doania River. Then you have to board another bus to reach Bakkhali. However, you can also board direct buses to Bakkhali from Kolkata. You can also reach Namkhana by train from the Sealdah station. 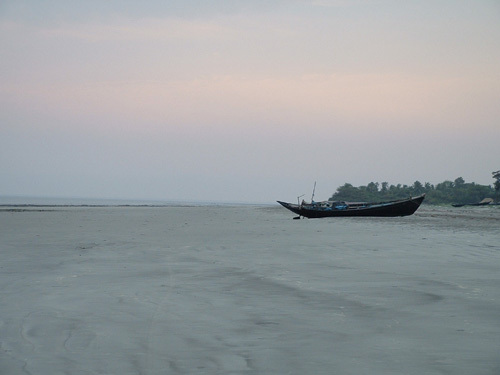 By road, you have to travel through Diamond Harbour and Kakdwip to reach Namkhana. Best time to visit Bakkhali: You can visit Bakkhali throughout the year. Lodging and dining facilities at Bakkhali: There are plenty of lodges and hotels as well as guest houses for tourists. Dining facilities are available in almost all the lodges.